She is passionate about working with both senior and young pets and very much enjoys her interactions with their owners. She purchased Baker Animal Hospital in early 2011 and now is also the hospital administrator. When not working, she takes pleasure in eating well, especially if someone else is cooking ,or even better, by exploring Montreal’s innumerable excellent restaurants. Her interests include painting and sketching, dance, and traveling. Most of all, Julie enjoys spending time with her two daughters Rachelle and Sophie, and high school sweetheart, Alain, who is now her husband and their fluffy dog Flocon. When not working, Suzanne shares her life with her spouse of 23 years and their rescued companion Chacha the cat. 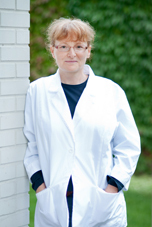 Raemona is a graduate of the Faculty de medecine veterinaire of the University de Montreal, class of 1983. She also obtained her MBA from the University of Concordia in 1997. 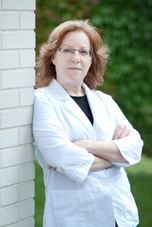 Jane started working at Baker Animal Hospital as a teenager and was originally trained as a dog groomer. She demonstrated so much competence working with the animals that she was trained on site as a technician. She has been working as a technician since 1988. She is a master at collecting blood and placing intravenous catheters. She is also an excellent teacher and is in charge of training and evaluating veterinary technician students who come and do work terms at our hospital. She is a multi-tasker and has impressive time management skills. Jane is in charge of ordering medications and supplies for the hospital, monitoring and assisting our patients during surgical procedures, and does the majority of the dental cleanings of our feline and canine patients. She is very gentle with the animals and can tame even the most “unhappy” of patients. Away from the office, Jane loves to go camping and kayaking with her husband and two children. The head of their household is indisputably a black and white feline named Panda. 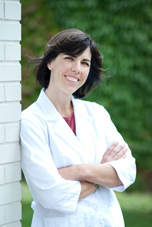 Carrie joined Baker Animal Hospital in November 2013. She comes to us from her previous employment where she was employed for 22 years. This example of dedication benefits us immensely every day. For example, she has an uncanny capability to work effectively under stress and always strives to provide impeccable customer service. We can honestly say that an octopus has nothing on her for her multi-taking skills are well above sea level! Her love for animals is what brought her to us. Carrie has four dogs of her own and will guarantee you when you come to Baker’s, your pets will be treated as one of her own. In her short time with us, she has implemented numerous changes that have continued to improve our client service along with their pet’s welfare. If you have any complaints, Carrie will surely help to find a solution. Vanessa was born and raised in Montreal. She has been an avid animal lover since day one. During her young adulthood she opened up her own clothing store and developed impressive marketing, customer service and management skills. However, she felt that there was something missing: the animals! Thus, we were fortunate when she joined our team in 2014, where she is not only able to utilize the skills she learned by owning her own business, but also by exhibiting her love for animals while caring for them on the job. During her spare time Vanessa and her better half enjoy travel, trying new foods and making friends worldwide. Together they live with their 18 year old dog Theo and two cats, Chachi and Sassy. Cats, Cats, Cats ! Cynthia is our go to girl at the reception when it comes to understanding their special needs. Beyond cats, her passion for all animals woill warm your heart. If she’s not curled up on the couch with a book and her fur babies, Twitchy, Monster and Beanie, she loves coming to work at Bakers ! Let us not forget Lucky Jack who is watching over his sister and adopted brothers. Fortunately for us she came to us with 10 years of customer service experience. Don’t let her shyness fool you because once you know her you have a friend for life! All our services are by appointment only.